Student pictures can be uploaded through DropBox. It’s a very nifty system - let’s take a look at how it works! The Imports page integrates with your DropBox account to access student pictures quickly and easily. DropBox is a cloud-based data storage system that’s known for ease and simplicity of use. If you don't yet have an account, it's super easy to get started - just head over to Dropbox to get started. After uploading your students’ pictures to your dropbox account, they can be easily imported via the Students module and the Imports page. Simply click on the Import button in the Students module to get started. 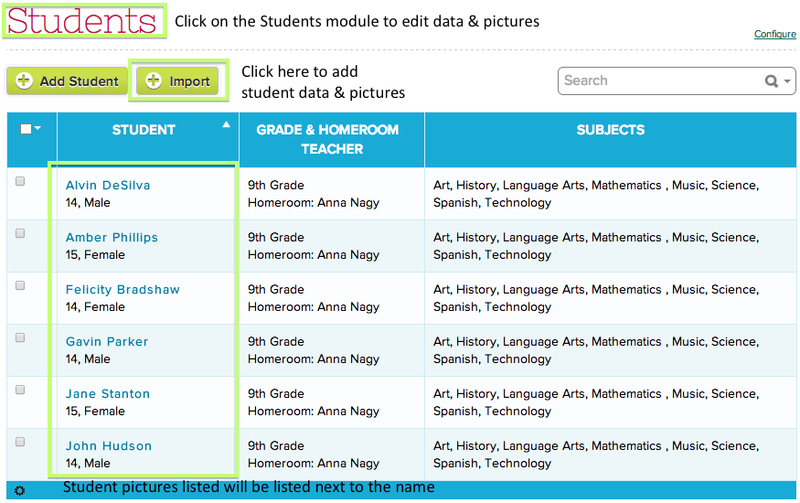 When you’ve selected your photos, QuickSchools will automatically map the photos to the student records. Of course, if anything looks strange, you can also set the photos manually. Once it looks good, just press the Start button. The Students module will take it from there! 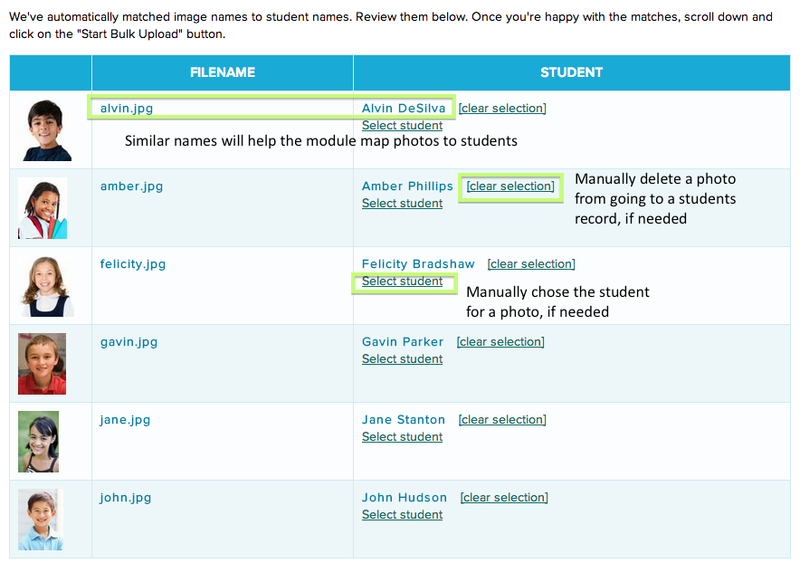 Importing student pictures makes it much easier to identify students from within the Students module. 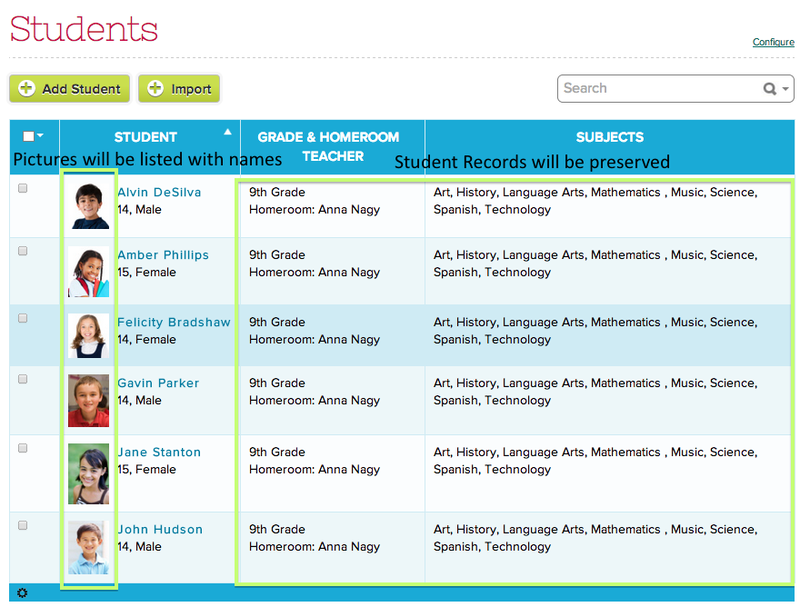 And, you can use the student profile reports to print out a list of students with their pictures, which is great for situations like when substitute teachers need to take attendance. Of course, if you have any questions or need any help with this or anything else, feel free to chat in. We’d love to help any time!